Has anyone here actually used a Symphony cooler? I was searching on Amazon, and the ratings are quite low. Hardly any product has >3 stars. Some of the user reviews are really bad. Would be great if someone could talk about their experience. Thanks. Attached are the reviews for Symphony’s 3 biggest competitors. They are <3 as well. 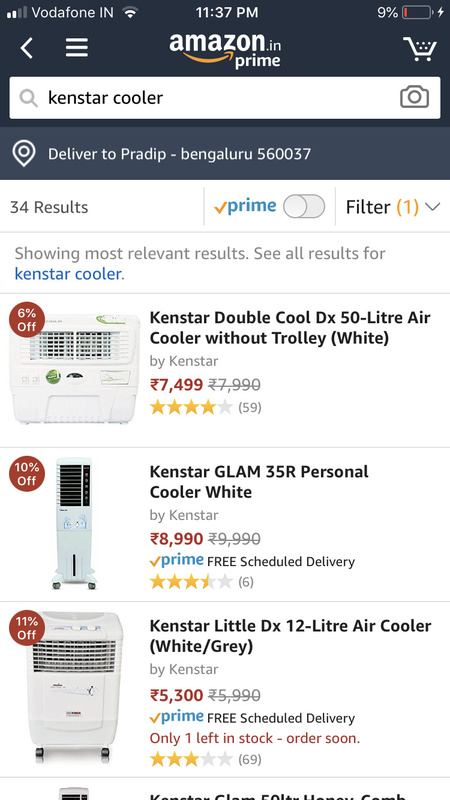 Is the conclusion now then that coolers are bad as a product? the dealer recommended other brands in lie. we have now replaced the same with a LG ac which cost almost the same as the top end symphony cooler. LG AC Price List Rs. In local market it is not difficult to get a .75 ton AC for ~Rs.14K or even less. Company has informed FY19Q1 earnings conf call on 24th but has not shared dial-in details. I have emailed management asking for the same.If anyone has dial-in info, please share. Any one attending con-call. Will appreciate few highlights he/she can put throwing light on de-growth. I would have attended, if I had dial-in info. It’s surprising why management doesn’t share dial-in info in it’s con-call announcement. I dropped email to CS couple of days back asking for dial-in info, but no response so far. Does management want only institutional analysts and not individual investors on the call? Very disappointing. 022 62801326 was no you might check if they make recording available. •	Management disappointed by the performance in Q1FY19. •	Solace in whole performance was the company maintaining capital employed. •	Geographical performance: ROW is intact. Same as last year. Domestic business severely hampered. •	Starting this quarter (Q1FY19) company will report basis on a consolidated basis. After acquiring Climate Technologies almost 40% of the business will be from ROW. Hence the move to report numbers on a consolidated basis. •	Domestic sales: Affected by bad summer. Second consecutive bad summer faced by the company. Impacted mainly because of this. 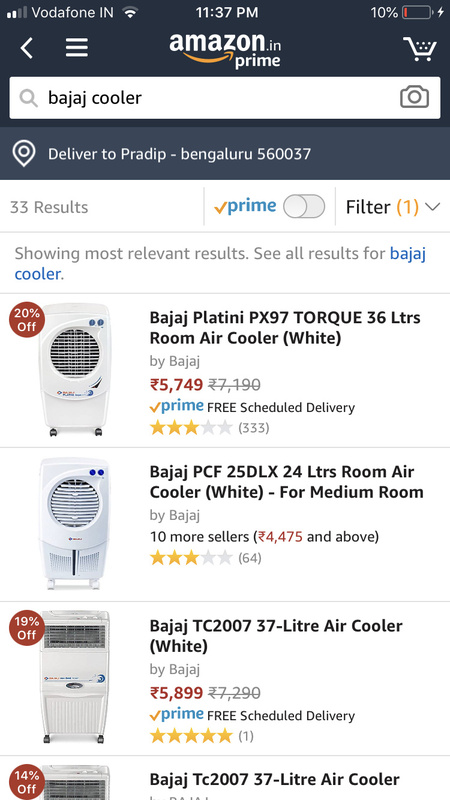 Air conditioning and fans business have also suffered in India due to this and suffered de-growth. •	Company has not offered any discounts to prop up sales viz a viz competitors. 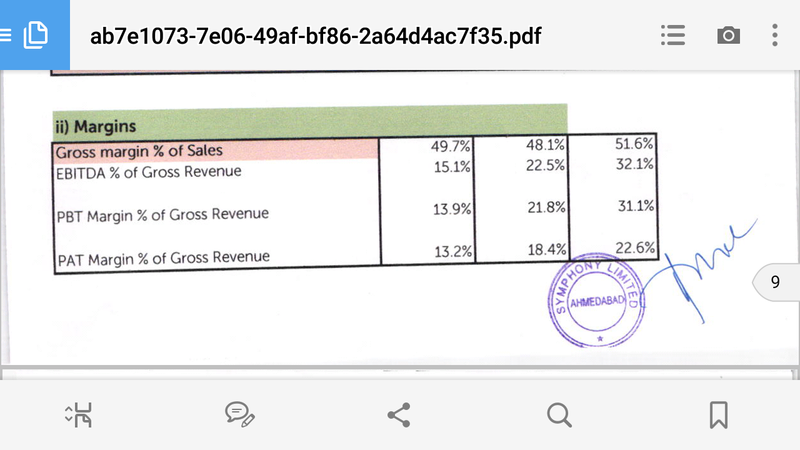 Gross margins of the company have remained intact due to this. EBIDTA and PAT margins impacted as other costs, fixed costs etc. remained same. •	Market share intact (or maybe increased) as compared to a decline in the market. Most of the inventory lying with the company to be monetized in the next couple of quarters at most. Very possible the company will go through some pain in the ensuing quarters as well. •	As per their experience when there have been two back to back bad summers it leads to major consolidation in the industry in 2-3 years’ time. •	GSK and IMPCO have had profitable quarter. •	CT acquisition successfully completed. Discussed acquisition cost and other parameters. Not including here as details have been provided by the company earlier. •	Challenges going forward? Any change in pricing stance? Inventory? o	Pricing: No pricing changes going forward. The only challenge: Company experiencing weak trade sentiment. Confidence of trade partners shaken – some even contemplating exiting from the cooler business. o	Inventory: Overhang exists. Even company has significant inventory. Coming 2-3 quarters will not be good as compared to what the company has been doing historically. o	Distributors still have a lot of faith in the company as Symphony’s inventory was still moving as compared to the competitors. This has strengthened the faith of the distributors. In fact, some of competitor’s distributors are switching over to Symphony. o	FY19 is going to be a challenging year for the company. o	No new products to be launched in FY19 as there is already significant inventory in the market. o	Some support offered to trade partners. Something the company has had to resort for the first time in 30 years. As this is an exceptional situation, such support has been offered. o	GSK: Registered 3 crs profit this quarter. o	Same things may not be visible in the coming quarters. As the numbers above have been achieved in summer months. o	Australia (CT) will be having round the year business as compared to other subsidiaries. •	Branded cooler market may have de-grown by 15% this summer. Significant, inventory still lying in the channel, it will take time for it to be sold. •	Chinese market very fragmented. 100s of players in the market. Market potential is huge. No company has any significant market share. Therein lies the opportunity for Symphony. Company’s market share is low at the moment. •	US is also a very large market. Current business is very small. Prospects are solid. CT works with good customers there. •	Market share of CT in Aus 35%. IMPCO in Mexico has market share in excess of 40%. •	Mr. Achal Bakeri didn’t sound happiest on the call today. And some poor and at times unnecessary probing by the analysts did seem to irritate him. I think Symphony is one of the best companies when it comes to keeping both investors and analysts updated on how the business is shaping up each quarter. Good quarter or bad - they speak up and mention things they way they are. They are top notch when it comes to corporate governance and communicating to shareholders / analysts imho. Also, I have heard individual shareholders on quite a few Symphony calls. Anyways, in case you wish to listen to the con-call for any company (including Symphony), you can do so on Researchbytes. I believe they do a great job of compiling conference calls across companies each quarter. Cheers. Thank you @amangoklani for putting together con-call summary! Let me first clarify that I’ve tremendous respect for Mr. Bakeri and I completely agree that management is top-notch. What Mr. Bakeri has done is close to a miracle! But at the same time I am also frustrated and disappointed with not being able to attend the con-call and not getting an opportunity to ask my questions to understand Symphony better. I had couple of very specific questions that I was hoping to ask Mr. Bakeri about his Version 3.0 strategy and better understand CT’s business model and their products that are sold in the US. Both questions had intention to better understand Symphony’s long-term strategy/prospects. I went through con-call recording on researchbytes. Unfortunately, given dismal Q1FY19 numbers and given our Dalal Street analyst’s typical short-term view, most of them barring few were trying to understand how softer could coming off-season quarters get so that they can predict Q2, Q3 and Q4 EPS. Anyways, I will drop an email with my questions and let’s see if I get any response. Off-season is heading their way, so hopefully they should get enough free time to reply back. BTW - very curious as to how the individual investors are able to dial-in for conf calls since management doesn’t share call-in info. Below is screenshot of transcript from Q1FY18 call where Onkar Kulkarni, an individual investor was suggesting Mr. Shah to share concall numbers and details so that individual investors can also participate. All I am looking for is a rationale from management for not sharing call-in details with individual investors. Researchbytes is a savior for many of us. Have been using it for last many years. Thanks for the recommendation. Yes, I understand there is nothing better than speaking to the management directly and hearing things straight from the horses mouth. If you haven’t written to the management already, may I ask you slide in another question? The management keeps saying China is a huge opportunity - though they have never mentioned the total size of the market there (not to my knowledge). They’ve only mentioned it is fragmented and there is great potential for someone to gain a decent market share in the fragmented market. 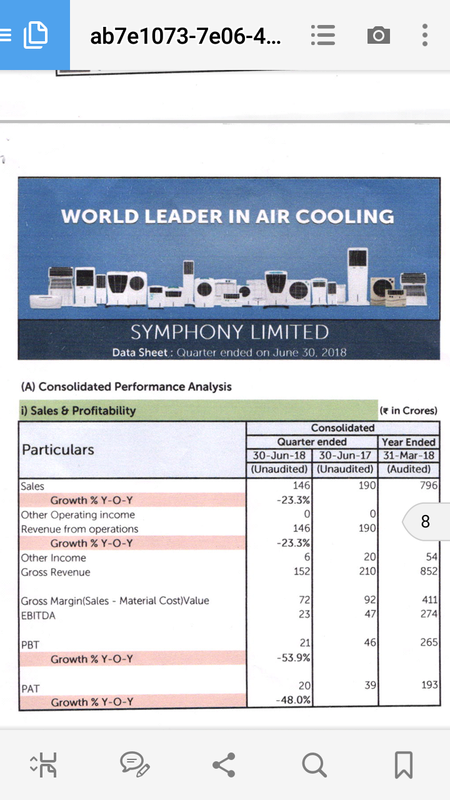 Symphony’s consolidated sales last year were Rs.798 crores and they are sitting on an opportunity to capture ~9,000 - 11,000 crores of the growing cooler market worldwide (sans China). I like that! The other question that I was surprised no analyst asked was about reduced GST. 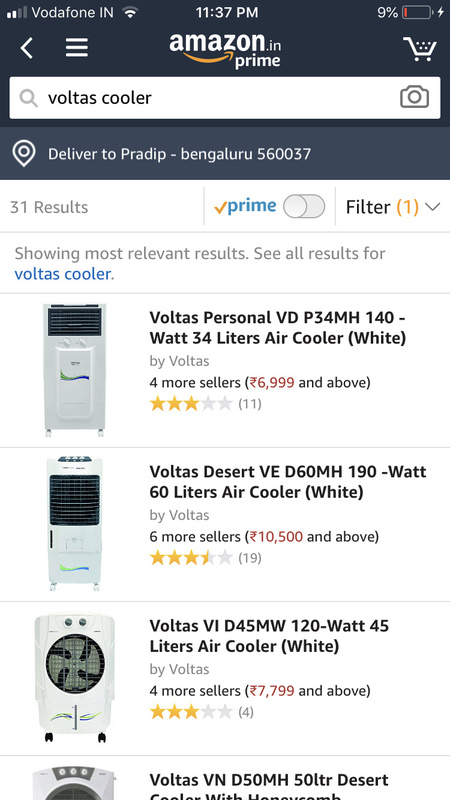 Wouldn’t that make the prices of branded coolers more competitive viz a viz coolers from the unorganized market? I would certainly think so. Hahaha, yes you are right. They will have a lot of time to answer now! Symphony is now going to go through a sustained phase of dropping share prices and consolidation. Over time this will surely open a window of opportunity to load shares of this stellar company at least at fair prices.